Each year the IRS produces a list of Top Tax Scams. Since many of these con games peak during filing season as people prepare their tax returns or hire someone to do so, it’s a good time to become aware of common scams and how to protect yourself. Identity Theft. Taxpayers need to watch out for identity theft especially around tax time. The IRS continues to aggressively pursue the criminals that file fraudulent returns using someone else’s Social Security number. Though the agency is making progress on this front, taxpayers still need to be extremely careful and do everything they can to avoid being victimized. Phone Scams. Phone calls from criminals impersonating IRS agents remain an ongoing threat to taxpayers. The IRS has seen a surge of these phone scams in recent years as scam artists threaten taxpayers with police arrest, deportation, and license revocation, among other things. Phishing. Taxpayers need to be on guard against fake emails or websites looking to steal personal information. The IRS will never send taxpayers an email about a bill or refund out of the blue. Don’t click on one claiming to be from the IRS. Be wary of emails and websites that may be nothing more than scams to steal personal information. Return Preparer Fraud. Be on the lookout for unscrupulous return preparers. The vast majority of tax professionals provide honest high-quality service. But there are some dishonest preparers who set up shop each filing season to perpetrate refund fraud, identity theft, and other scams that hurt taxpayers. Legitimate tax professionals are a vital part of the U.S. tax system. Offshore Tax Avoidance. The recent string of successful enforcement actions against offshore tax cheats and the financial organizations that help them shows that it’s a bad bet to hide money and income offshore. Taxpayers are best served by coming in voluntarily, and getting caught up on their tax-filing responsibilities. The IRS offers the Offshore Voluntary Disclosure Program (OVDP) to enable people to catch up on their filing and tax obligations. Inflated Refund Claims. Taxpayers need to be on the lookout for anyone promising inflated refunds. Be wary of anyone who asks taxpayers to sign a blank return, promises a big refund before looking at their records, or charges fees based on a percentage of the refund. Fraudsters use flyers, advertisements, phony store fronts, and word of mouth via community groups where trust is high to find victims. Fake Charities. Be on guard against groups masquerading as charitable organizations to attract donations from unsuspecting contributors. Be wary of charities with names similar to familiar or nationally-known organizations. Contributors should take a few extra minutes to ensure their hard-earned money goes to legitimate and currently eligible charities. IRS.gov has the tools taxpayers need to check out the status of charitable organizations. Excessive Claims for Business Credits. Avoid improperly claiming the fuel tax credit, a tax benefit generally not available to most taxpayers. The credit is usually limited to off-highway business use, including use in farming. Taxpayers should also avoid misuse of the research credit. Improper claims often involve failures to participate in or substantiate qualified research activities and/ or satisfy the requirements related to qualified research expenses. Falsely Padding Deductions on Returns. Taxpayers should avoid the temptation to falsely inflate deductions or expenses on their returns to pay less than what they owe or potentially receive larger refunds. 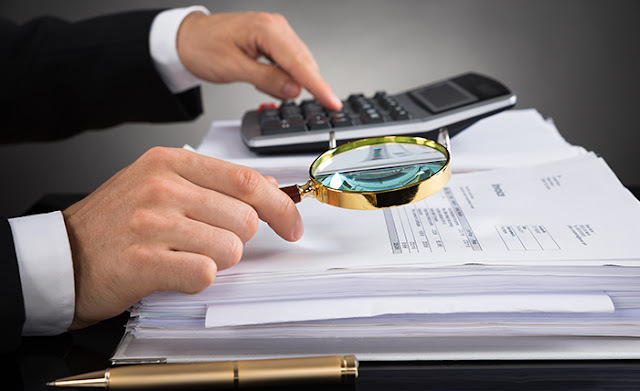 Think twice before overstating deductions such as charitable contributions and business expenses or improperly claiming credits such as the Earned Income Tax Credit or Child Tax Credit. Falsifying Income to Claim Credits. Don’t invent income to erroneously qualify for tax credits, such as the Earned Income Tax Credit. Taxpayers are sometimes talked into doing this by con artists. Taxpayers should file the most accurate return possible because they are legally responsible for what is on their return. This scam can lead to taxpayers facing large bills to pay back taxes, interest, and penalties. In some cases, they may even face criminal prosecution. Abusive Tax Shelters. Don’t use abusive tax structures to avoid paying taxes. The IRS is committed to stopping complex tax avoidance schemes and the people who create and sell them. The vast majority of taxpayers pay their fair share, and everyone should be on the lookout for people peddling tax shelters that sound too good to be true. When in doubt, taxpayers should seek an independent opinion regarding complex products they are offered. Frivolous Tax Arguments. Don’t use frivolous tax arguments to avoid paying tax. Promoters of frivolous schemes encourage taxpayers to make unreasonable and outlandish claims even though they have been repeatedly thrown out of court. While taxpayers have the right to contest their tax liabilities in court, no one has the right to disobey the law or disregard their responsibility to pay taxes. The penalty for filing a frivolous tax return is $5,000. Additional information about tax scams is available on IRS social media sites, including YouTube at www.youtube.com/irsvideos, and Tumblr at internalrevenueservice.tumblr.com, where people can search the term “scam” to find all the scam-related posts. Source: IRS.gov.